Jen suggested I take a picture of the boxes of packaged and labeled books filling our front hall and include it in this update but I demurred, as it seems to much to me like saying, see! look! we're really shipping books out! 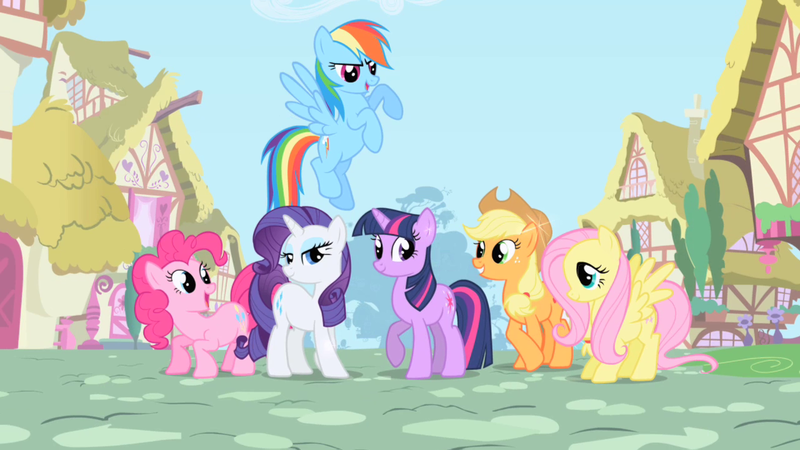 Though I admit I see the appeal of the visual aid, so here's a link to a picture of some ponies. I'm gonna pay for that, aren't I? Another 100 books or so will be shipping out by this Wednesday. This pretty much will account for everything above the Plated level with a few exceptions. We're looking at the remaining Plated and Basics being packaged up in the next two to three weeks, and shipping as promptly as possible as they're ready. Current delay is due to Jen going to visit my mother, and the majority of the hands-on help we're hoping for being in New York for NYCC. If all goes well, we'll have everything shipped out by the end of the month. But admittedly, all does not seem to go well very often on this project. I cannot thank you enough for your continued patience and support on this. We're nearing the finish line, and we are as desperate to cross it as you are to see us do so, trust me. David Golbitz, D Kelly, and 18 more people like this update. As a Brony with a Rainbow Dash iPhone case and keychain you'll get no complaints from me! Is this your way of confirming the My Little Pony variant cover for volume 2? Rainbow Dash is 20% cooler in all pictures. please consider the derivative effects of such actions. I can not un-see what you have shown. While my years have seen the ravages of war, plague and civil unresst prepare me for such horrors, what if a child or lady of a more gentle disposition was witness to what you thrust upon our person. I send this from a fainting couch in my salon as I recover. I pray thee to use more restraint in future correspondence, perhaps depictions of ebola victims or vivisection to lighten the subject. Jen was right about taking a picture of the boxes (she's always right, anyway: feel free to renew your vows and remind her that it was MY idea! ), but sending an image of your Fantasy Pony Express was cute! Don't stop thinking about tomorrow and hold fast! Thanks for the update, sounds like things will be smoother with the bulk of the more complex pledges out of the way. The photo of packages would have been nice though, and a good reminder for you in case you decide to do something this again. Thank you for the update. I am happy to wait as long as it takes when you keep us informed like this. You should have included the picture not to be coy though. Sometimes it helps people to realize the enormity of the task and how much it takes over your life. Good luck going forward. You continue to run a great campaign even in the midst of hardships and setbacks. Greg, I'm not sure if you read all of these as I'm sure you get tons of them and can't keep up on all of them. But I just wanted to comment that every time I begin to lose faith on if my book will arrive (I got a basic package, now wishing it had been a rare in royal or remarked book) you come through with yet another awesome update. Thank you for for keeping us in the loop as you work through sending everything out. It really means a lot to me and if I ever run into you again at another con, I'll be sure to thank you personally. Hoping the rest of the room runs smoothly for you. You guys are due for some good luck and smooth sailing. I feel your pain. It took me far longer than anticipated just to get my Kickstarter project done, and nothing felt quite as good as getting the last set of envelopes out the door. Looking forward to receiving the book! Wait, so, you're shipping the book via PONY Express?